Unit comes fully assembled, ready for use! 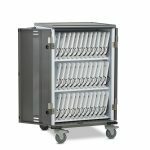 Available in Maple/White, Shaker Cherry/White, Grand Cherry/White & Grey Nebula/White Charge, Store, and Transport Tablets in this space saving 32 Unit Tablet Charging Cart. 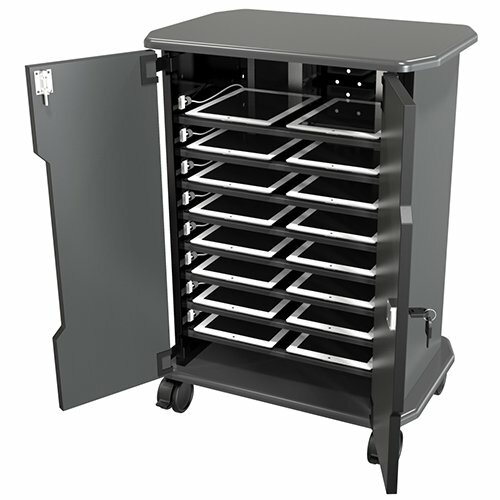 Roomy bays (10”w x 1.8”h x 14”d) store devices in horizontal position. 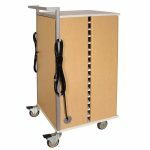 The 32 Unit Cart is a compact 24” square to fit into tight spaces and tuck into any corner when not in use. Stores Tablets or ChromeBooks in proper horizontal position, less wear and tear on Tablet edges. 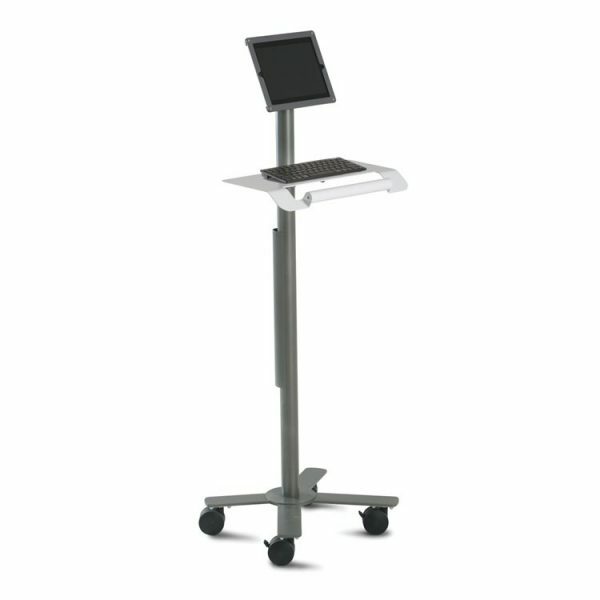 Additionally, giving the cart a small footprint meant making it tall enough to serve as a useable platform for your projector. Attractive metalwork adds aesthetics value and ease of transport. 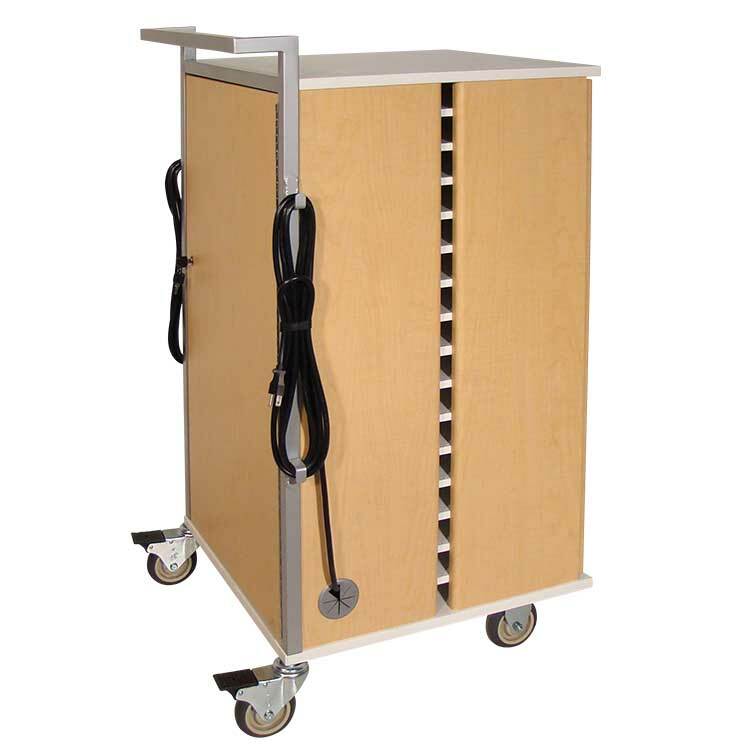 Locking rear access door to power panels protects cords. Easy to see which plugs are charging your Tablets. 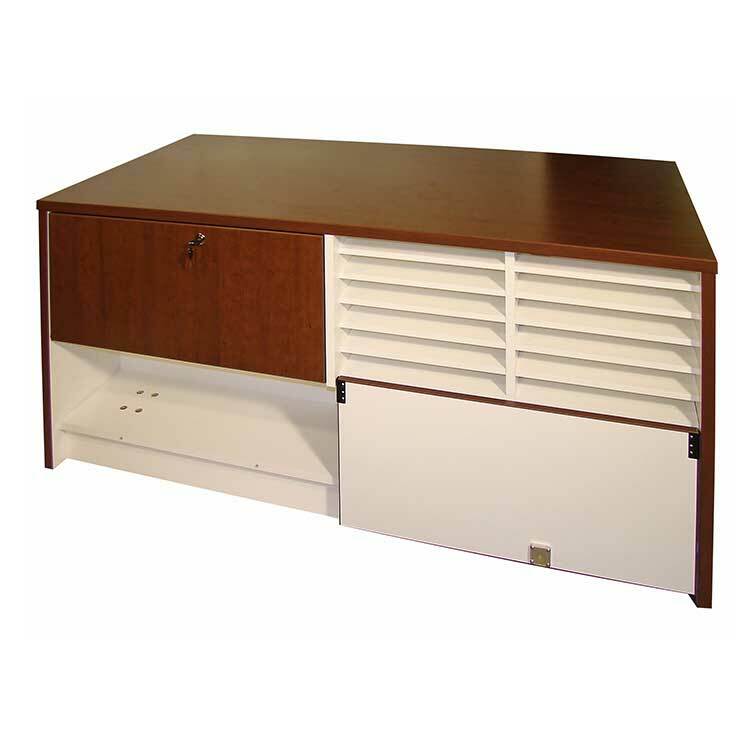 Vented side panels, back panels and shelves promote circulation. 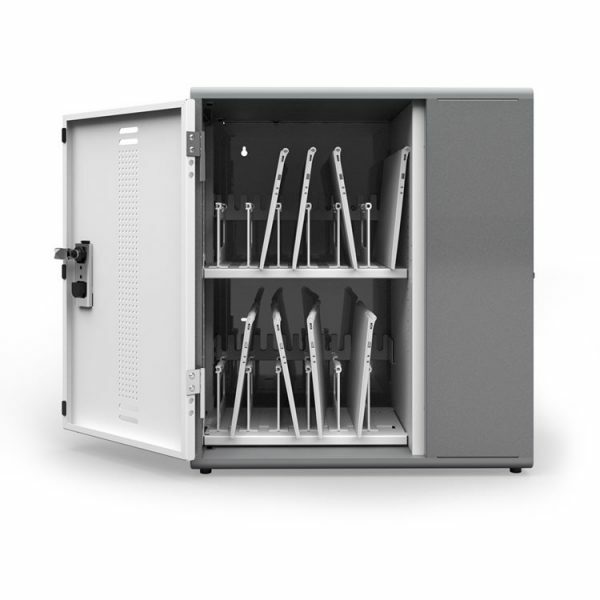 2 locking doors protect your Tablets, ChromeBooks and power. Design integrated cord wraps for simplicity. 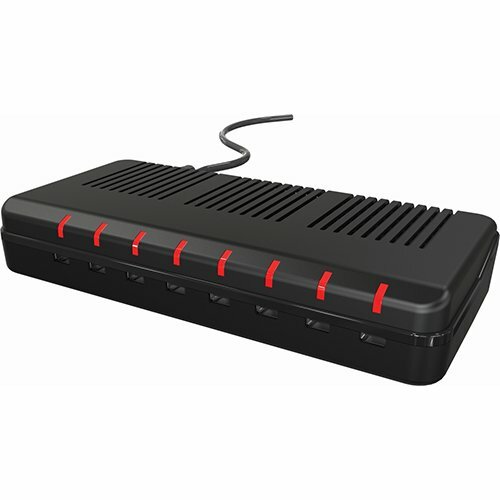 Charge 32 Tablets and or ChromeBooks at a time. Four 4″ non-marring polyurethane wheels, 2 with brakes for smooth transportation.